Many mothers-to-be worry about birth defects at some time during pregnancy. Birth defects vary in level of severity and can be caused by a variety of sources. One of the most common causes for birth defects is nutritional deficiency, particularly vitamin B12 deficiency. As a matter of fact, studies show that vitamin B12 prevents birth defects when it is taken as part of a prenatal care regimen. In adults, vitamin B12 is essential for proper brain functioning, maintenance of the nervous system, and creation of red blood cells. In the womb, vitamin B12 has other important roles to play. Without enough vitamin B12, unborn babies can suffer serious birth defects. Two of the most serious birth defects that result from B12 deficiency include congenital diaphragmatic hernia and neural tube defects. A deficiency in vitamin B12, especially when compounded with deficiencies in vitamins E and A, can cause congenital diaphragmatic hernia. This condition causes a hole to develop in the diaphragm of newborns. This is dangerous because other organs—such as the intestines–then can pass through the hole into the chest. This condition can be life-threatening as it leads to the development of respiratory issues. If left untreated, congenital diaphragmatic hernia can be fatal. Neural tube defects are strongly linked to vitamin B12 deficiency. Pregnant women should get at least 400 micrograms of B12 per day. The two main types of neural tube defects that afflict newborns as a result of vitamin B12 deficiency are spina bifida and anencephaly. Spina bifida means “cleft spine,” and this condition is associated with an underdeveloped brain, spinal cord, and lack of protective covering around the spinal cord. Spina bifida is the most common type of neural tube defects that affect babies born in the United States. Anencephaly is a condition that starts in the womb, where significant parts of a baby’s brain and skull fail to develop. Few newborns with anencephaly survive more than a few days. Though these birth defects are serious, there is a way to prevent them: by getting enough vitamin B12. The amount of vitamin B12 is very difficult to get through diet alone, so pregnant women should consider supplementation. To be on the safe side, all women of childbearing age should consider taking B12 injectable supplements. Creating an adequate storehouse of vitamin B12 before conception can help reduce the risk of a birth defect. Many birth defects occur before the women even knows she is pregnant. By the time she knows and starts supplementing her diet, it could be too late. Injections are the best way to ensure that you and your baby get the right amount of vitamin B12 because all of the nutrients in an injection are absorbed. On the other hand, much of the benefits of oral supplements are lost in the digestive tract. Even if you are afraid of needles, giving yourself a B12 injection is a simple and relatively painless process. The benefits of taking B12 injections far outweigh the temporary discomfort. You can have peace of mind that your child is safe from the birth defects caused by vitamin B12 deficiency. If you are a vegan mother-to-be, then you already know the importance of vegans and vitamin B12. Spread the word to other mothers-to-be! Vitamin B12 prevents birth defects, so protect your child and make sure that you are getting enough vitamin B12. B12 injectable supplements are a great way to get the nutrients that you and your baby need, so don’t hesitate to try it today. 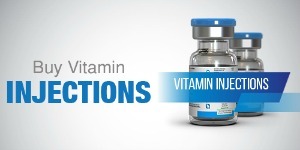 Check out the vitamin B12 products we have available. All of our products can help you get ready for a healthy and happy baby.